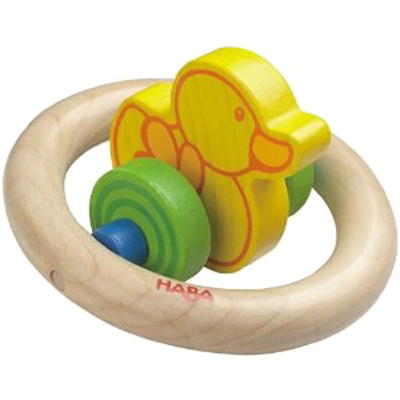 Duck Duck Teething Toy by HABA wiggles its head when nudged or rolled on a surface. Super adorable and fun teether. Duck Duck by HABA is made of beech wood and maple wood using child-safe, non-toxic water-based paints under rigorous safety and quality controls. Expertly made in Germany.